This rail provides assistance when bathing or using a commode. 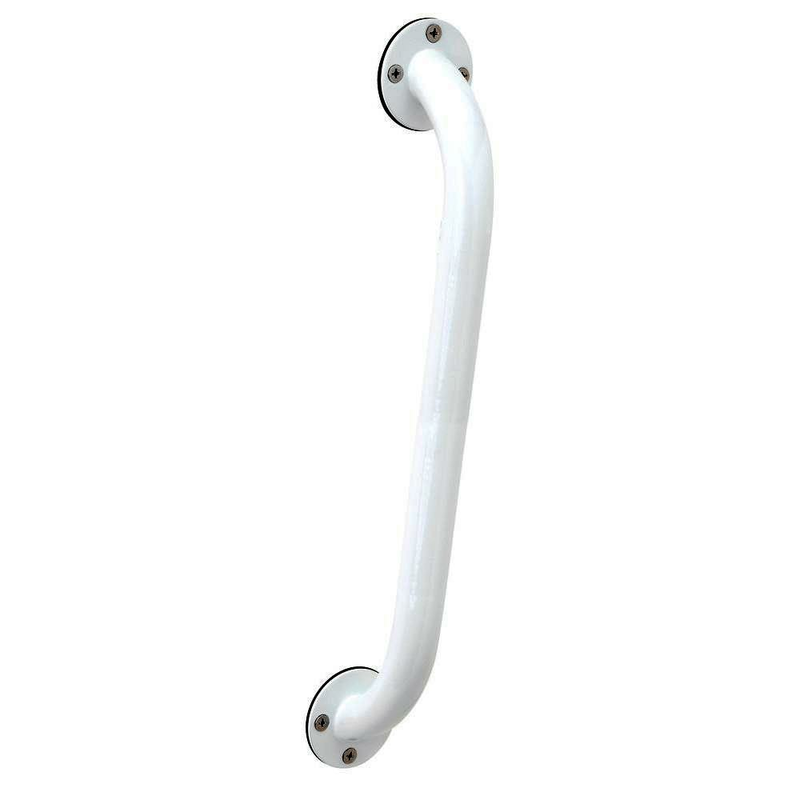 Made of durable heavy duty steel tubing and attractively finished with a white powder coat. Professional installation is required.